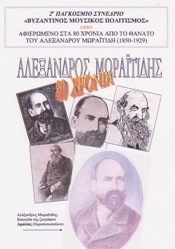 Dedicated 80 years in memoriam of ALEXANDER MORAITIDIS, a modern "Saint" of Hellenic Letters. 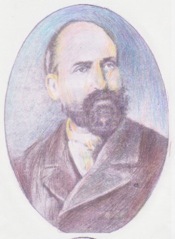 Alexander Moraitidis was chantor and Lampadarios of St. Elissaios the Prophet church in Plaka (Athens) during the time when the celebrated Alexandros Papadiamantis was First Chantor at the church. Since 1911, he assumed the position of First Chanter at the church with the Holy Father Nikolaos Planas as priest. 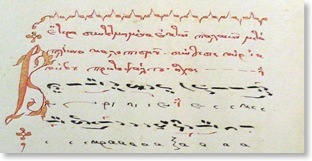 He composed a panegyric Service to St. Elissaios the Prophet with a Supplicatory Canon and transcribed poems of St. Gregory Nazianzen, the Theologian. The Conference also honored the distinguished service and contribution to Byzantine Music and Hymnology of the legendary Emmanuel Hatzimarkos, one of the few masters of Byzantine chant of the 20th century. 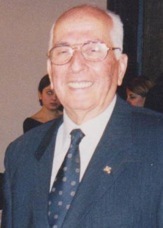 Recipient of the Gold Medal of the City of Athens. Ιεροψάλτης, Λαμπαδάριος του Ναού του Αγίου Ελισσαίου Πλάκας, επι πρωτοψαλτείας του Αλέξανδρου Παπαδιαμάντη. Στον Μανώλη Χατζημάρκο, Διαπρεπή, Ονομαστό και Διακεκριμένο Πρωτοψάλτη, Χοράρχη, Μελουργό και Μουσικοπαιδαγωγό.